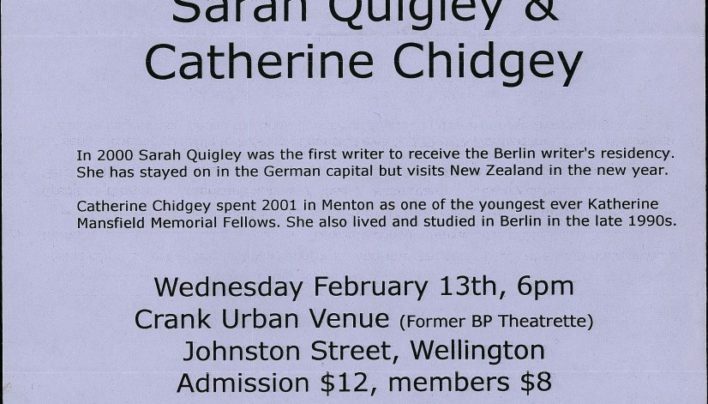 Fresh from overseas literary residencies, Sarah Quigley and Catherine Chidgey appeared together at an event at Crank Urban Venue organised by the New Zealand Book Council and the Goethe Institut…. 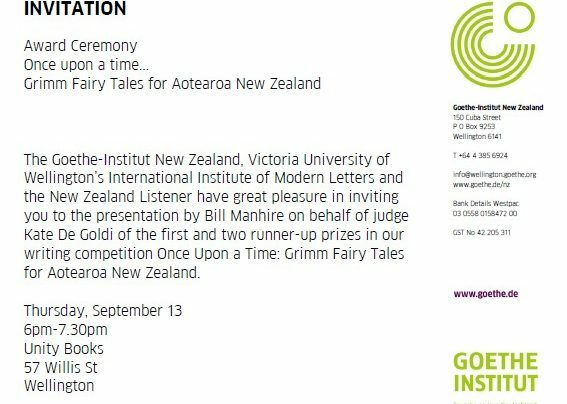 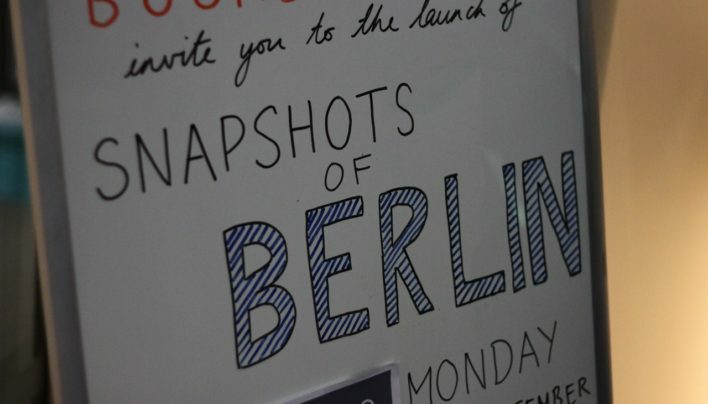 Invitation for and pictures from the presentation of the Goethe Institut writing competition “Once Upon a Time: Grimm Fairy Tales for Aotearoa New Zealand”. 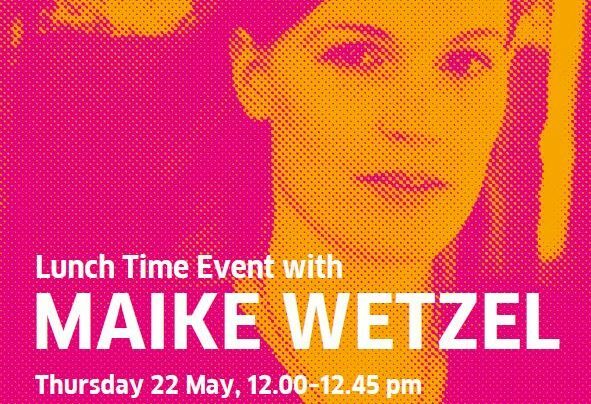 Photography by Matt Bialostocki.